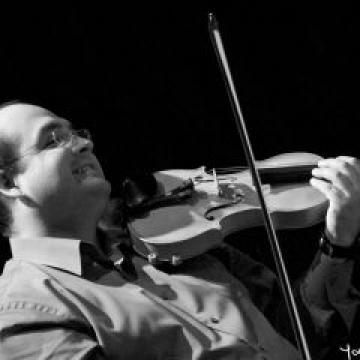 Originally from Costa Rica, Mr. Delgado-Guevara earned his Associate Degree in Music Education from the Conservatory of Castella for the Visual and Performing Arts of Costa Rica, his Bachelors Degree in music from the University of Costa Rica, and his Masters Degree in viola performance from Western Michigan University. He apprenticed with Gela Dubrova in Morelia, Mexico, before coming to the United States to study with Igor Fedotov. Mr. Delgado-Guevara received his violin teacher training at the University of Wisconsin-Milwaukee with Darcy Drexler and Mimi Zweig and with Karen-Michele Kimmet at Queens University, Ontario. He was a founding member of La Camerata Latinoamericana in Costa Rica and has also held positions as principal violist in the National Youth Symphony Orchestra of Costa Rica, the Central American Symphony Orchestra and many other orchestras in France, Costa Rica, and the United States. He has performed as a soloist with Washburn University in Topeka, Kansas, Andrews University Symphony Orchestra, University of Costa Rica String Orchestra, the Bach Institute of Costa Rica Chamber Orchestra, Fontana Chamber Music Festival, Fernwood Outdoor Music Series, Afternoon of Music in Kalamazoo and Sinfonia Prince George. Mr. Delgado-Guevara was the coordinator of the Andrews University Department of Music Preparatory Program and served as the interim director for the Andrews University Symphony Orchestra for the 2003-2004 Season. He has also served as the Associate Conductor of the Lake Michigan Youth Orchestra in charge of the Prep-Strings and was the violin/viola instructor for the Salvation Army Arts and Education Program in Benton Harbour Michigan. Mr. Delgado-Guevara is currently the Prince George Symphony Orchestra's Concertmaster.